I woke to clouds, after only about six hours sleep, clouds and the Return of the Headache. The clouds kindly left early in the afternoon. The headache was not so obliging. We were supposed to go to my mother's today for Thanksgiving, but I would have been no fit company for anyone. 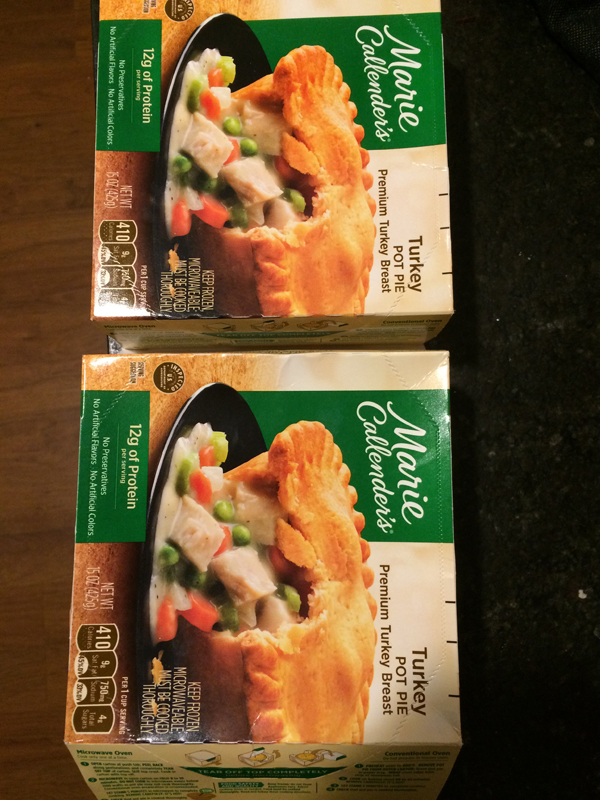 Instead, I rested and Spooky went out and got us turkey pot pies and Stove Top Stuffing from Winn Dixie. Tonight, we watched Chuck Workman's 2014 Orson Wells documentary, Magician. Truthfully, I've had much worse Thanksgiving Days. I really wish my Thanksgiving had been that good. I'm glad you had a good one. Have you seen The Other Side of the Wind yet? I'd be curious to know your thoughts on it. Marie Calendar's makes really good pies too.